Have you ever considered doing something “spiritual,” like a yoga class or meditating, but didn’t because you don’t think of yourself as “that kinda person?” Or have you ever caught yourself five episodes deep in some TV series thinking about how much that choice clashes with your spirituality? Or how about the reverse–have you ever stopped yourself from doing something you felt to do because you thought it wasn’t spiritual enough? 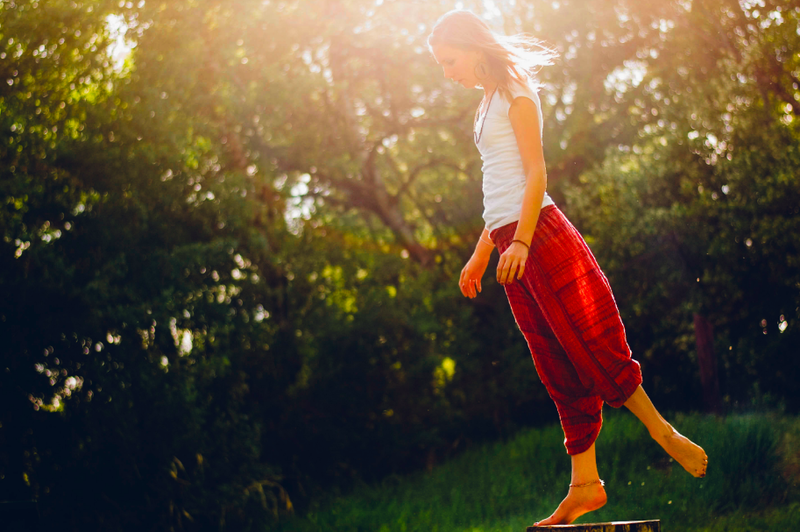 No matter what siphons us off from either our spirituality or our desires, there’s a common thread: the belief that spirituality is a compartmentalized area of our lives. From that belief comes the idea that some of us are spiritual, and some of us are not. Some things are spiritual, and other things are not. And the further along we go on that trip, the more that belief becomes an excuse for not going deeper into our spirituality and living a more full life. The thing is, real spirituality is when the spiritual practice is all of life itself, from eating pizza, watching TV, and finding ourselves in arguments to meditating, being with friends, and communicating with love. Indeed, when we are fully present with these moments, and we are soaking them up for all they are worth–willing to learn, grow, be accountable, and keep returning to love–then we are in an intimate union and a reverent flow with life that can only be spiritual. To be sure, spiritual experiences aren’t all bliss, glitter, and angelic harps on repeat. That idea only fuels the excuse that when there isn’t obvious sacred beauty, then well, this isn’t meaningful or spiritual and therefore, it has no value for me. Let’s be clear, spiritual experiences include all of it: the dirt, the tears, the confusion, the mundane, the profane, and the glorious. The meaningfulness is always there for us to tap into, so long as we are present, vulnerable, and accountable for ourselves. So, what can we do to more easily connect the sacred meaningfulness of life through the less obviously “spiritual” moments? In most moments, we are in the past or the future and anywhere but here. We are present when we collect all of our attention and orient completely into the moment that is here, now. When we engage with the mundane moments of life as an opportunity to anchor our presence in our bodies, then we are helping ourselves to remain in that space of clarity that serves us so greatly in our lives. For example, as you drink your morning coffee, drink it slowly—feel the warmth of the liquid on your tongue—feel it slide back your tongue and into your throat. Breathe deeply in between your sips. This is the way of anchoring your presence in your body, and you can do it in every moment of life. Most of us have all sorts of ideas about nearly everything. The thing is, those ideas often prevent us from clearly seeing what is actually happening in the present moment. 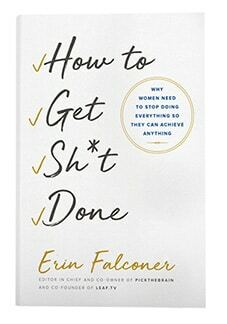 When you catch yourself being limited by a belief, such as I shouldn’t be honest about how I feel (because that would be unsafe/inappropriate) or, another common one, I should work 24/7 because that is what it takes to be successful (and therefore, I must sacrifice my needs), be bold enough to face it. Be courageous enough to explore the possibility that it is not true. Be brave enough to experience what happens when you allow that belief to fall away, and instead, allow yourself to simply be present, vulnerable, and open to whatever the moment is inviting you into for your growth and your joy. We are all vulnerable beings, from the sternest CEO to the most sensitive child. Denying or rejecting our vulnerability only makes us feel cut off from our divine nature and the kindness of life. So first, accept the simple fact that you are vulnerable. Once we have accepted our vulnerability, we are in a place to discover meaning. For example, if I feel angry when my partner goes out with his friends, perhaps when I explore that feeling, I might discover that it is triggering an abandonment wound from childhood. Because of that insight, I would have an opportunity to help any old pain be released and resolved. Or perhaps I discover that I feel anger because I am in need of more quality time with him, and for realizing that, have an opportunity to express that in a healthy way. The point is, only once our vulnerability is explored can we walk the bridge to meaning. It is always taking us deeper into ourselves and into our power to live a life that fulfills our hearts. So rejoice, we’re all spiritual and it’s all spiritual, and that means we have endless opportunities to co-create with life in a way that fulfills our hearts. I’ll drink to that! Tehya Sky is a spiritual teacher and healing facilitator who offers retreats and workshops internationally. 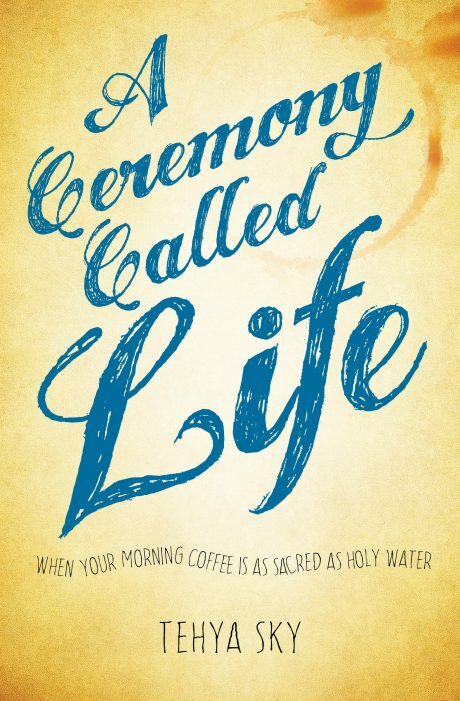 She is the author of the forthcoming book, A Ceremony Called Life: When Your Morning Coffee Is as Sacred as Holy Water (Sounds True, July 2016). Sky lives in the San Francisco Bay Area. For more, visit tehyasky.com, or on Twitter: @TehyaSky.